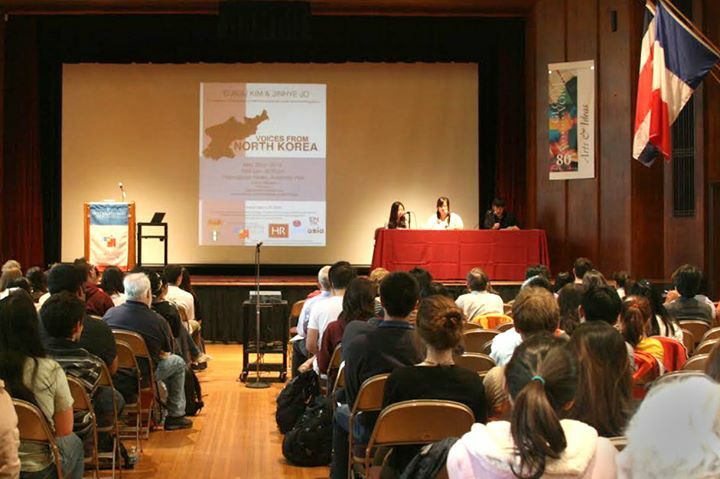 Emancipate North Koreans (ENoK) was founded in 2011 by its current president Andrew Hong, then an undergraduate student at the University of Chicago. In the summer of 2011, he raised nearly $2,000 to jumpstart ENoK by competing in the Chicago Triathlon. Early in 2012, ENoK organized several peaceful demonstrations against China’s policy of forced repatriation of North Korean defectors, which has resulted in the imprisonment, torture, and even execution of countless defectors by the North Korean regime. 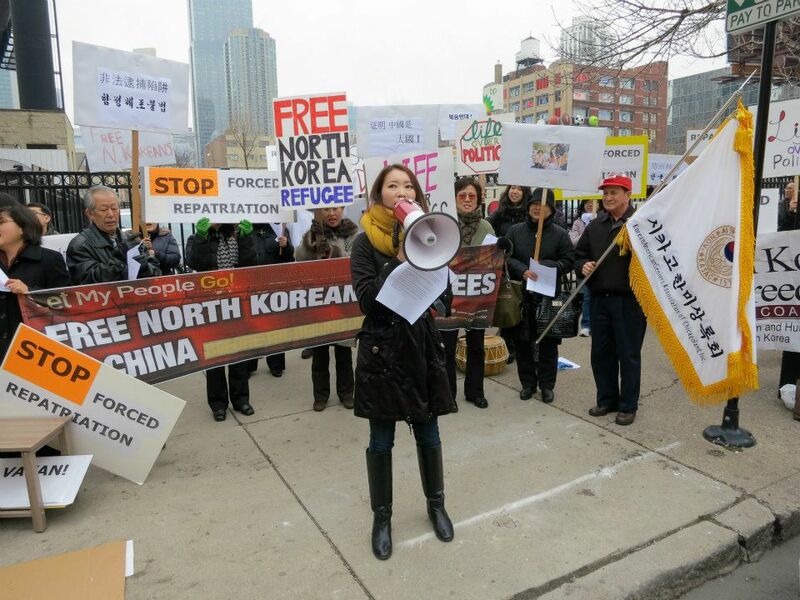 The first protest took place on February 23rd at the Chinese Consulate General in Chicago, where around 50 people gathered to advocate on behalf of those North Korean defectors who could not speak for themselves. 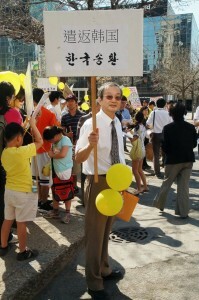 A month later, ENoK designated March 20th as the “North Korea Freedom Riders Movement” Day, a day of nation-wide protests against China’s decision to repatriate 31 detained North Korean defectors. 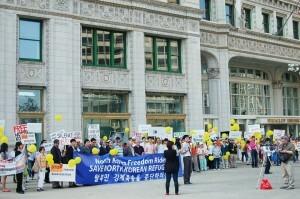 ENoK urged residents of major cities, such as Washington DC, Los Angeles, and New York City, to join Chicago in demonstrating against the forced repatriation. As a result, on March 20th, four major cities in America— Chicago, DC, LA, and NYC— saw demonstrators rally at their respective sites to join their voices to urge China to safeguard the human rights of North Koreans. In Chicago, 200 people gathered in front of the Chinese Consulate General, where ENoK members led the participants in a peaceful march through downtown Chicago’s Michigan Avenue (i.e. 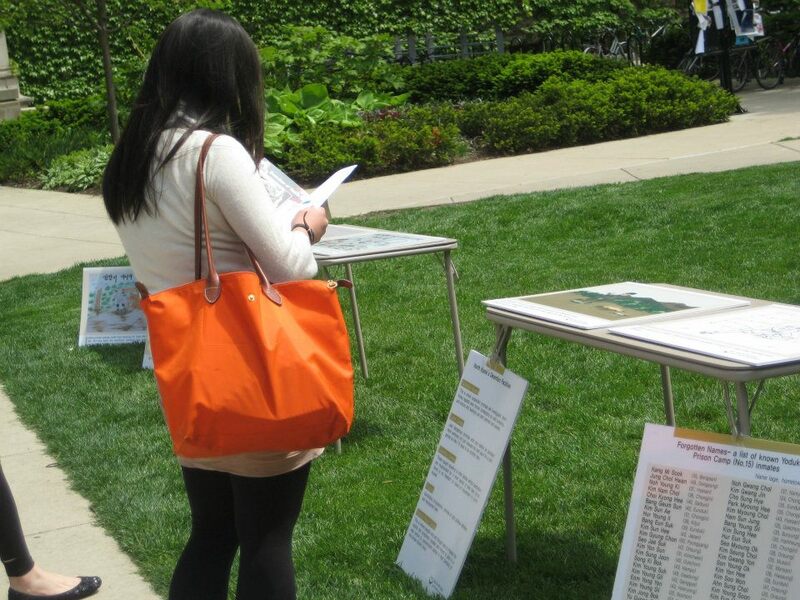 Magnificent Mile), in an effort to inform Chicago, America, the world, of the plight of hundreds of thousands of North Korean defectors in China. ENoK members provided information to be used in the “Emergency Hearing on North Korean Refugees in China” in March 5th, 2012 by translating a number of the most up-to-date news articles and petitions regarding the situation of North Korean defectors in China and other articles relating to the human rights violations being committed in North Korea. In May, ENoK organized “31 for 31,” a 31-hour fasting campaign (first coined by Princeton for North Korea Human Rights) in honor of the 31 North Korean defectors who were repatriated earlier that year. 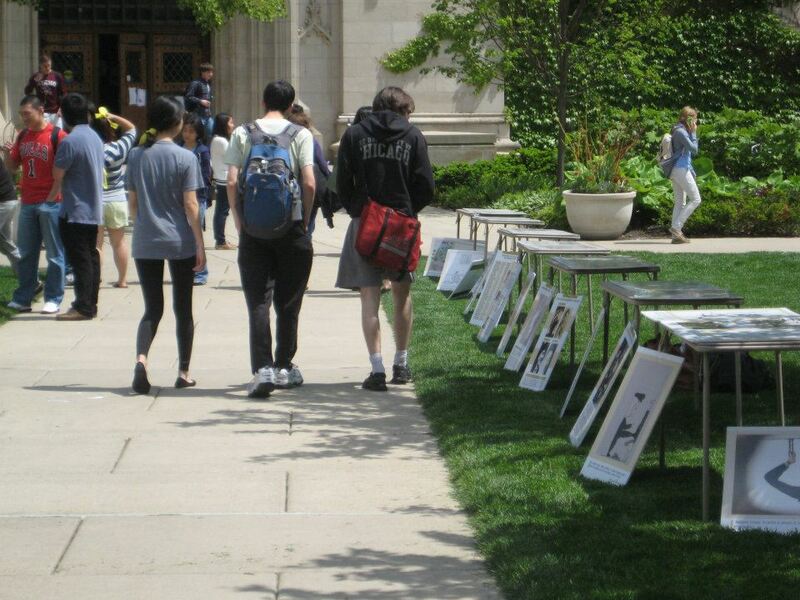 During this multi-day campaign, ENoK organized film screenings and exhibits in an effort to raise awareness of the dire conditions in North Korea and North Korean defectors. ENoK saw 54 people join its members in the 31-hour fasting, and raised over $2,513.31, all of which will be used to help North Korean refugees living in America. 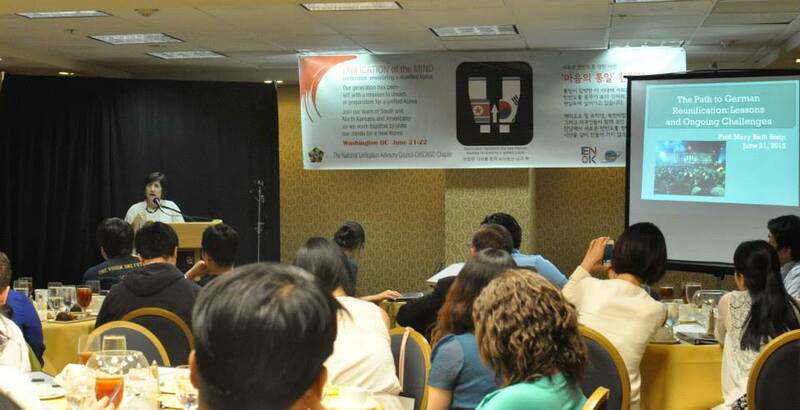 On August 31st and September 6th, ENoK, NIM (North Korean Inland Mission), and a monthly prayer group praying for North Korea co-sponsored events featuring a North Korean defector’s testimony at Korean Philippi Presbyterian Church located in Des Plaines, IL and the Moody Church in Chicago. The speaker, Sunshil Lee, lives in South Korea and is a regular guest on a popular South Korean cable talk show called “Meet Now.” The show invites a dozen North Korean defector women living in South Korea to talk about their new lives in South Korea, as well as their lives back in North Korea and the difficult journeys that finally brought them to safety in South Korea. 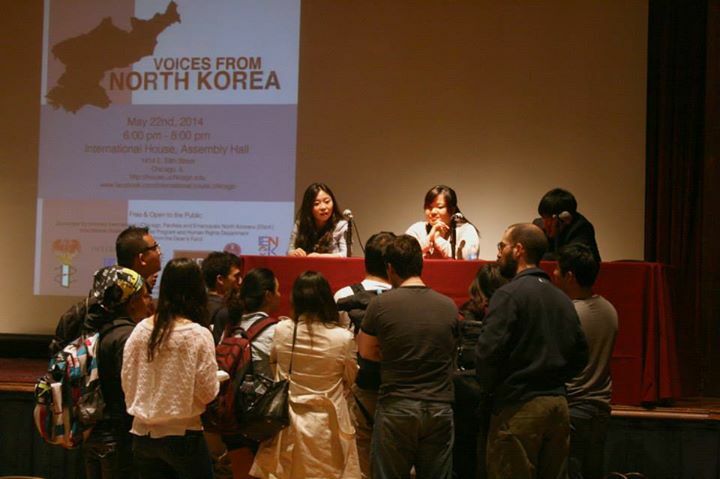 About 100 people came each time to hear her testimony, which opened many people’s eyes to the harsh reality that countless North Koreans live in. 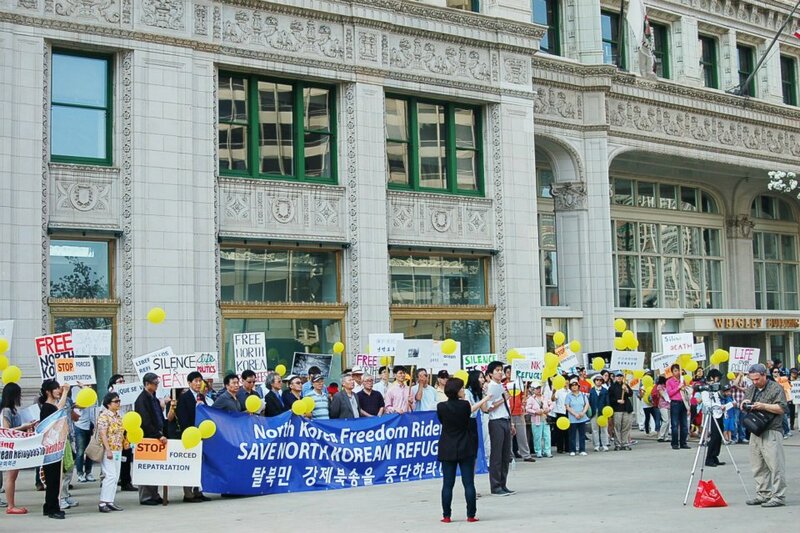 Upon Dr. Suzanne Scholte (President of Defense Forum and North Korean Freedom Coalition)’s request, on September 22, 2012, ENoK joined other cities in coordinating another march across downtown Chicago in protest against the continued policy of forced repatriation. 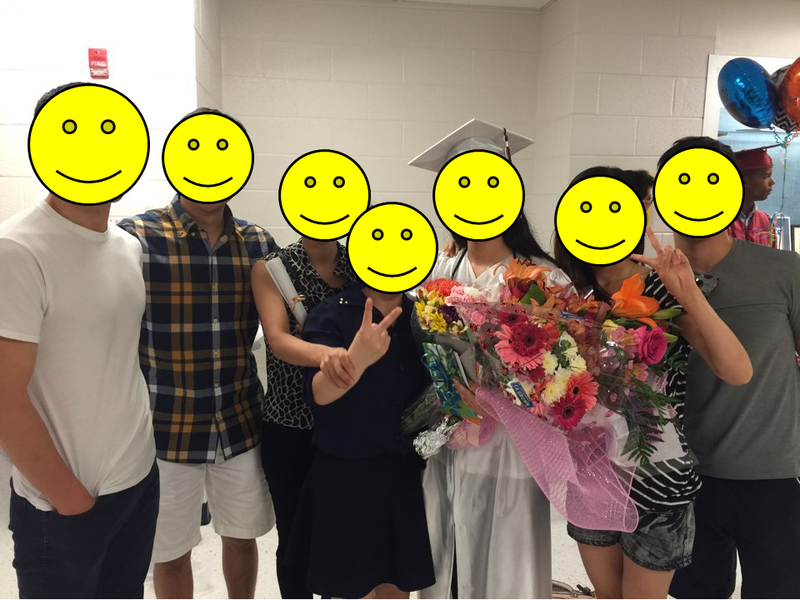 Early in 2013, ENoK launched the RealPal program to provide free, one-on-one tutoring services to North Korean refugees in the U.S. As of today, we are serving 13 North Korean refugees, focusing primarily on ESL (English as a Second Language). Visit the ENoK blog to follow our stories! 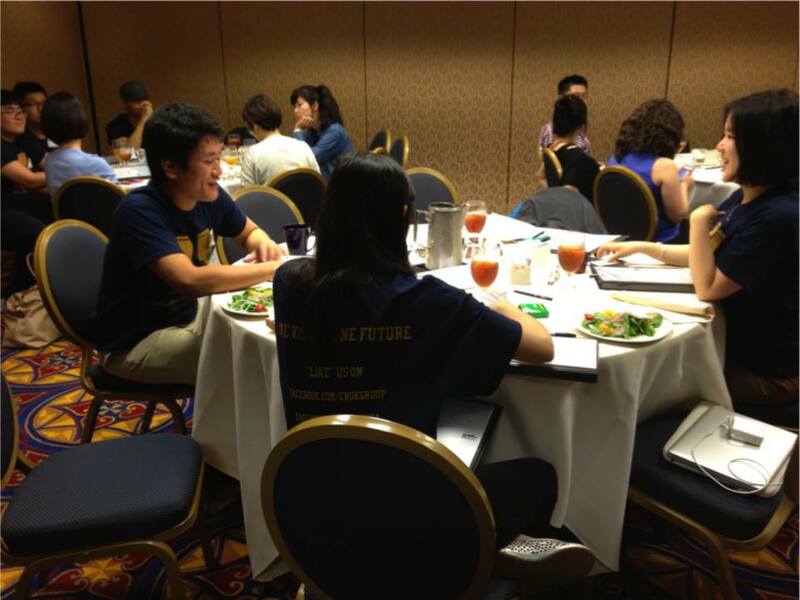 Between June 21st and 22nd, ENoK and NKUS hosted the first “Unification of the Mind” conference in the Washington, D.C. area. On June 21st, guest speakers – Professors Mary Beth Stein and Shawn McHale of George Washing University – discussed the challenges and legacies of national separation and reunification in Germany and Vietnam, respectively. On the 22nd, attendees participated in group problem solving activities meant to encourage them to envision and strive towards a peaceful and prosperous reunified Korea. 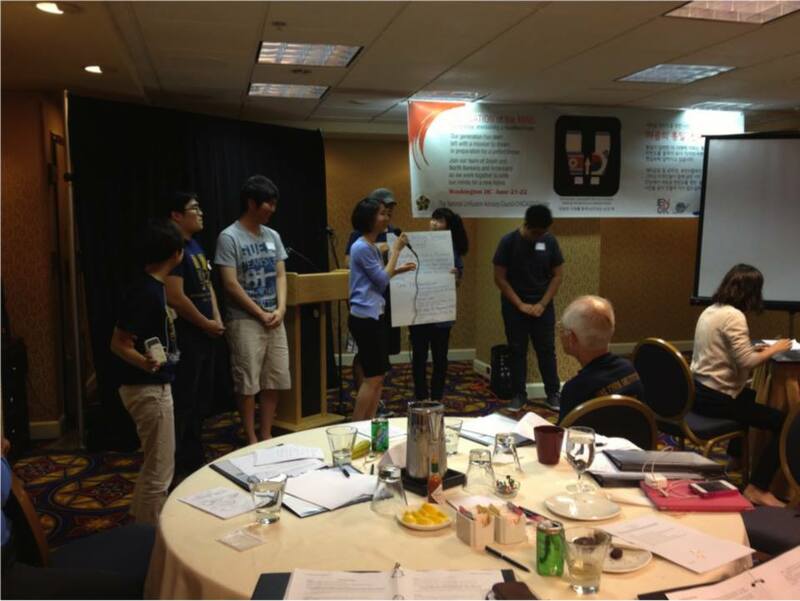 Each group presented their solutions, which are now available online. 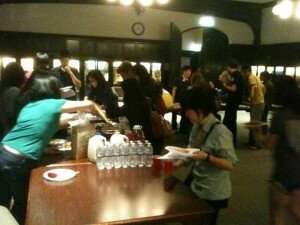 A total of 43 people attended the conference. 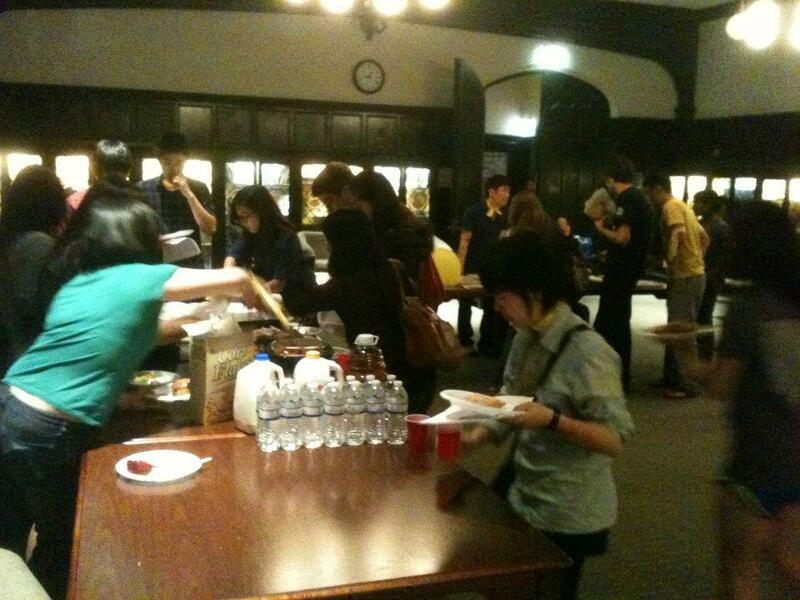 In May of 2014, ENoK collaborated with student groups (Amnesty International, PanAsia) and the International House at the University of Chicago to produce a live speaker event featuring Eunju Kim and Jinhye Jo. Eunju and Jinhye gave powerful testimonies about life in North Korea and their experiences as defectors – first struggling to survive in China, then adapting to new challenges in South Korea and in the United States. The entire event can be viewed here. Empower House officially opened its doors on September 27th, 2014 in the Hyde Park neighborhood of Chicago, near the University of Chicago campus. Empower House functions as a mini college-preparatory boarding school for North Korean refugees with the goal of sending all residents to four-year colleges. It hosted six refugees during its first year and held its first graduation ceremony in June 2015, with one student graduating from Empower House and going on to successfully receive her high school degree equivalent. 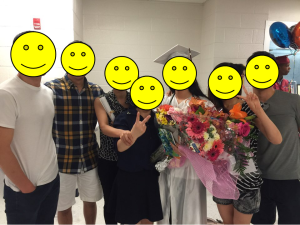 Empower House students and staff at adult high school graduation ceremony of Empower House’s first graduate. Congratulations!